Alison in Aotearoa/ New Zealand: The Blog is Back! 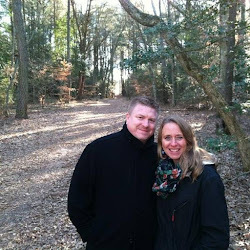 The blog is back! In just a few short hours, 13 unique individuals from MidAmerica Nazarene University will unite as one team and depart for our beloved New Zealand! Many of you have given generously over the last year through financial contributions, donation of material goods, friendship and support. Now we have one more very important request: PRAYER! Now more than ever, we are reliant upon the prayers of others for for the "success" of this team, our partnership with God in His mission. According to the scriptures, success looks a whole lot like servanthood and sounds a whole lot like love. Would you pray for our team, that we would really make Jesus famous and enjoy safety and harmony in the group while we're doing it? 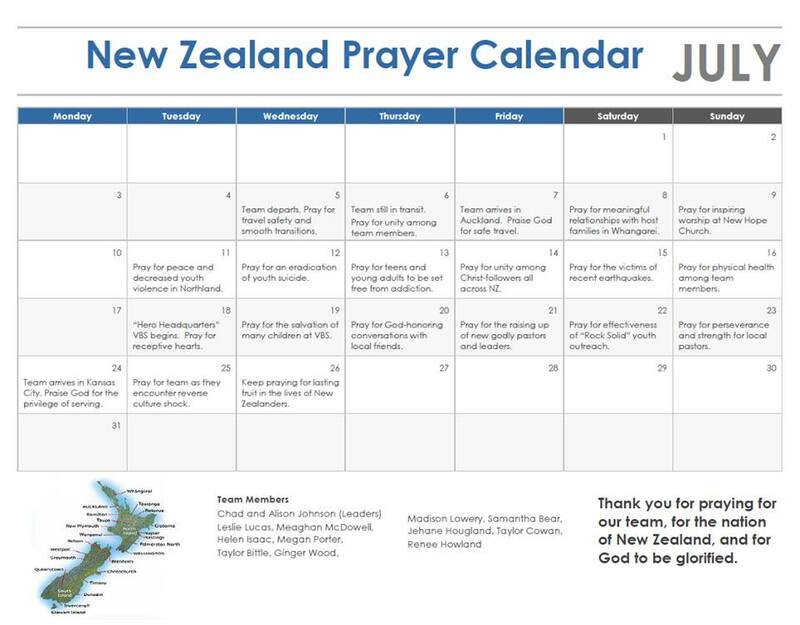 Attached is a copy of our prayer calendar while includes specific topics for which you can pray each day. 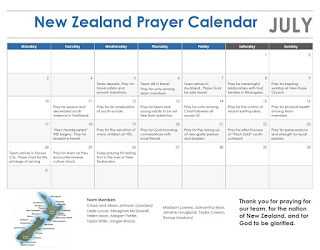 Some requests are team-specific, while others pertain to New Zealand national matters and challenges facing churches and families today. Thank you again and again for praying for our team and lifting us to the Father each day!